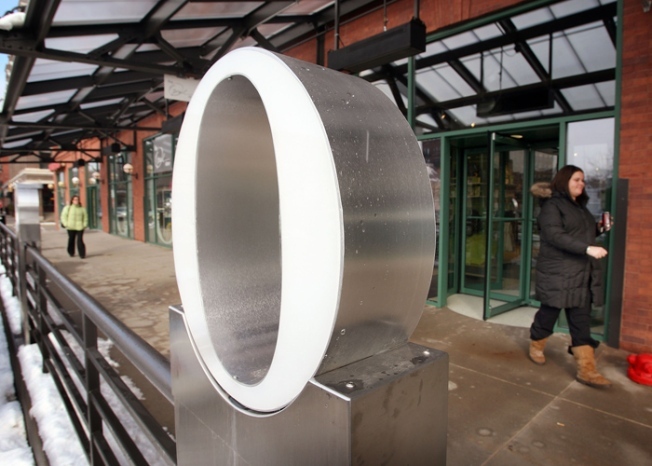 A signature "O" marks the location of The Oprah Store. With just more than two weeks until Thanksgiving, we’ve made up our mind to start our holiday shopping early this year. "No procrastinating" is our mantra. But, what to buy? How is it that every year, we’re at a loss for ideas? Well, in Chicago, there’s just one reliable source to turn to for the best gift ideas. Yep, we’re talking about Oprah. And in Chi-town, we have more than just her "favorite things" to choose from – Oprah opened her own boutique just across from Harpo Studios in the West Loop at the beginning of the year. In it, you’ll find everything from keychains to O-monogrammed chenille robes to cashmere throw blankets. In true giving spirit, profits from the sale of Oprah’s Angel Network apparel go to the Angel Network. With the amount of "O" in this place, if there’s someone on your list who loves Oprah, you won’t be disappointed. The Oprah Boutique is located at 37 N. Carpenter Street.